SEATTLE--(BUSINESS WIRE)--Jan. 22, 2016-- Plum Creek Timber Company, Inc. (NYSE:PCL) announced today that Institutional Shareholder Services (“ISS”), a leading independent proxy advisory firm, has issued a report recommending that Plum Creek shareholders vote to approve the proposed merger with Weyerhaeuser Company (NYSE:WY) at the company’s special meeting of shareholders to be held on Friday, February 12, 2016. “We are pleased that ISS supports the merger transaction between Plum Creek and Weyerhaeuser and recommends that shareholders vote in favor of the Agreement and Plan of Merger. The proposed merger offers a compelling opportunity to bring together an extraordinary set of assets and a best-in-class management team that, when combined, will create the world’s premier timber, land and forest products company,” said Rick Holley, chief executive officer. Plum Creek’s special meeting of shareholders is scheduled to take place on Friday, February 12, 2016 at 10:00 a.m. Pacific Standard Time (“PST”). The meeting will be held at the Washington Athletic Club located at 1325 Sixth Avenue, Seattle, Washington 98101. Plum Creek shareholders of record as of December 28, 2015 will be entitled to vote at the special meeting. In addition, actual results are subject to other risks and uncertainties that relate more broadly to Plum Creek’s overall business, including those more fully described in Plum Creek’s filings with the Securities and Exchange Commission (“SEC”) including its annual report on Form 10-K for the fiscal year ended December 31, 2014, and its quarterly reports filed on Form 10-Q for the fiscal year ended December 31, 2015, and Weyerhaeuser’s overall business and financial condition, including those more fully described in Weyerhaeuser’s filings with the SEC including its annual report on Form 10-K for the fiscal year ended December 31, 2014, and its quarterly reports filed on Form 10-Q for its fiscal year ended December 31, 2015. Forward-looking statements are not guarantees of performance, and speak only as of the date made, and neither Plum Creek nor its management undertakes any obligation to update or revise any forward-looking statements. This document does not constitute an offer to sell or the solicitation of an offer to buy any securities or a solicitation of any vote or approval nor shall there be any sale of securities in any jurisdiction in which such offer, solicitation or sale would be unlawful prior to registration or qualification under the securities laws of any such jurisdiction. Weyerhaeuser filed with the SEC a Registration Statement on Form S-4 that includes a joint proxy statement/prospectus of Plum Creek and Weyerhaeuser. Each of Plum Creek and Weyerhaeuser have mailed the joint proxy statement/prospectus to their respective shareholders. The Registration Statement on Form S-4 was declared effective by the SEC on December 28, 2015. Plum Creek and Weyerhaeuser also plan to file other documents with the SEC regarding the proposed transaction. This document is not a substitute for any prospectus, proxy statement or any other document which Plum Creek or Weyerhaeuser have filed or may file with the SEC in connection with the proposed transaction. 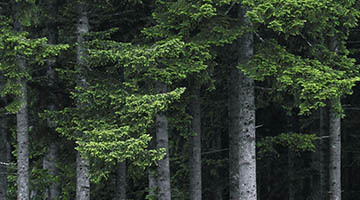 INVESTORS AND SECURITY HOLDERS OF PLUM CREEK AND WEYERHAEUSER ARE URGED TO READ THE JOINT PROXY STATEMENT/PROSPECTUS AND ANY OTHER RELEVANT DOCUMENTS THAT HAVE BEEN OR MAY BE FILED WITH THE SEC CAREFULLY AND IN THEIR ENTIRETY WHEN THEY BECOME AVAILABLE BECAUSE THEY CONTAIN OR WILL CONTAIN IMPORTANT INFORMATION ABOUT THE PROPOSED TRANSACTION. You may obtain copies of all documents filed with the SEC regarding this transaction, free of charge, at the SEC’s website (www.sec.gov). In addition, investors and security holders will be able to obtain free copies of the joint proxy statement/prospectus and other documents filed with the SEC by the parties on Plum Creek’s Investor Relations website (www.plumcreek.com/investors) (for documents filed with the SEC by Plum Creek) or on Weyerhaeuser's investor relations page on its corporate web site (www.weyerhaeuser.com) (for documents filed with the SEC by Weyerhaeuser).